Tired of waiting for internet connections to reach your location? Ever wonder how you can connect to the internet even without a broadband kit? Well, I've got news for you! You can actually use your cellphone as modem to connect to the internet! 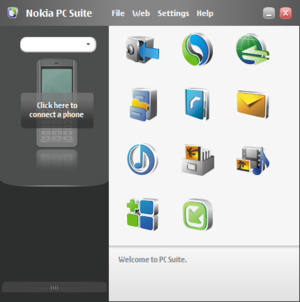 Install PC suite to your PC or laptop. Connect your cellphone to the PC using USB data cable / bluetooth / infrared. Wait for the PC to recognize your device. After you configure your setting, click the connect button. Once connected, open your browser and enjoy browsing! **You may want to subscribe to your network's promo regarding internet surfing like supersurf / unlisurf to save money / load.